Okay, here it is: my first baby-focussed post (written on my last day of maternity leave!). When it came time to furnish our little fellow's room, we opted for as much "grown-up" furniture that could grow with him. However, we needed a crib for the first few years, and wanted one that would convert to a toddler bed. While I have written about and admired many beautiful cribs, we couldn't stomach spending a ton of money on something our son would outgrow in a few years. We opted for IKEA's cheapest and most simply designed model: Sniglar. It was handsome, and we liked that it was made of solid hardwood and free of any paint or finish—plus, it fit our modest budget. So far, we love it. A funny side story about IKEA cribs: Years ago, I worked at a wonderful design shop in the far West Village called auto. The shop sold the then-cutting-edge DwellStudio crib bedding, and the owner displayed it on an IKEA crib. I cannot tell you how many times someone would come into the shop wanting to buy the crib and how surprised they would be to hear it was from IKEA. The owner joked that we should buy a dozen cribs, scrape the IKEA logo off them and sell them to people for a serious mark-up. An IKEA assembly veteran, this crib should have posed no challenge for me and my husband. (I once spent an entire week of my life assembling IKEA furniture in a storage room in the Mall of America for a Budget Living magazine show house.) However, Sniglar mysteriously came without any directions! The only ones included were the directions for converting the crib to a toddler bed, in which you start with an assembled crib. I figured a little Googling could solve the problem, but it took a surprising amount of effort and uncovered this very funny video that told us that our struggle was not unique. 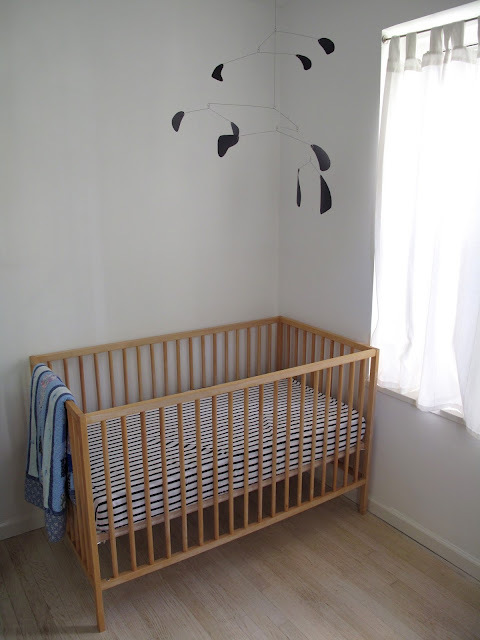 For any parents out there searching for Sniglar assembly instructions, here they are: IKEA SNIGLAR crib assembly pdf. Thank you! We were so confused! Oh my god thank you for that pdf. Why why why was that not included in the package? Just spent an hour cursing at this thing while my baby screamed. The instructions are sewn into the mattresses base under a warning sign. However, your post was super helpful. Question - what is the clearance from the floor to the bottom rail on the bed? Looking to use this and want to slide some storage baskets in and out from underneath. Thank you! When I assembled it, they were online but now I can't find the crib on their website!